The Global Alliance for Livestock Veterinary Medicines (GALVmed) has announced three drug discovery contracts that, it is hoped, will lead to the development of a diagnostic test and the first new trypanocides for more than 50 years to treat and prevent animal African trypanosomosis (AAT), considered by Africa’s heads of state to be “...one of Africa’s greatest constraints to socio-economic development”. Transmitted by tsetse flies, AAT causes annual losses estimated at up to US$ 5 billion. An estimated 50 million cattle and 70 million sheep and goats are at risk of AAT and some 3 million cattle die from the disease annually. AAT reduces meat and milk production, prevents the use of draft oxen for land cultivation in tsetse-infested areas and acts as a deterrent to upgrading low-yielding local breeds of livestock. This affects over 10 million square kilometres of fertile land spread across nearly 40 countries in Africa and therefore has a huge impact on food and nutritional security and livelihoods across the continent. In May 2011, GALVmed announced the award of an £8 million 30 month grant by the UK government’s Department for International Development (DFID). The grant is to facilitate the initial phases of programs aimed at the development of new and improved drugs, field diagnostic assays and perhaps even a vaccine for the control of AAT – also known as nagana or simply tryps. The first contract was awarded to Anacor Pharmaceuticals Inc., a California based biopharmaceutical company established in 2002. Anacor focuses on discovering, developing and commercializing novel small-molecule therapeutics derived from its unique boron chemistry platform: currently it has five compounds in Phase II and Phase III human clinical evaluation for a variety of anti-infective and anti-inflammatory indications. Anacor collaborated with Scynexis Inc. (a US company providing outsourced drug discovery) and the Swiss Tropical and Public Health Institute as part of a project supported by the Drugs for Neglected Diseases Initiative (DNDi). They discovered a series of oxaborole compounds that show considerable promise as candidate drugs against human African trypanosomosis (HAT). For the HAT programme more than 700 compounds were synthesized and a number of these have properties which could make them suitable for the treatment and prevention of animal African trypanosomosis. These compounds will now be screened for efficacy and safety under the GALVmed contract. 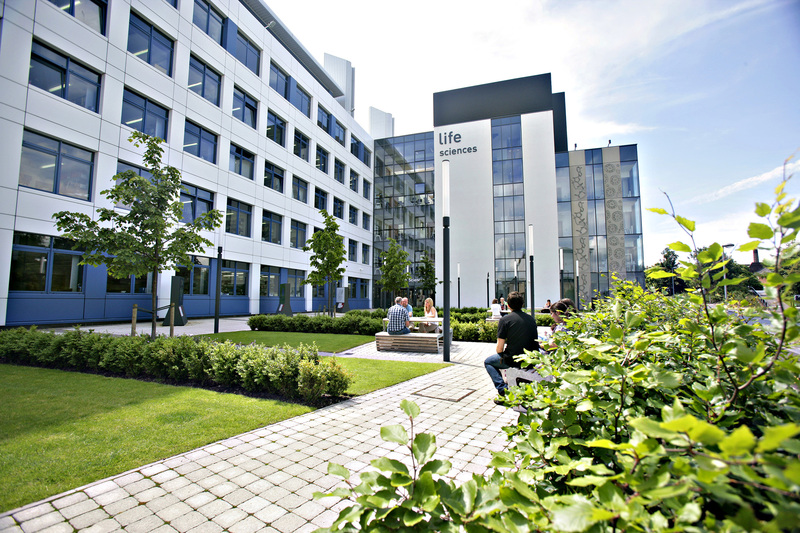 The second and third contracts are both with the College of Life Science at the University of Dundee, one of Europe’s top-ranked universities for life science research. In 2011, the College was awarded a prestigious Excellence in Impact award by the UK Secretary of State for Universities and Science. One of these agreements covers research which aims to develop new drugs in the University of Dundee’s Drug Discovery Unit for the treatment and possible prevention of AAT in cattle, and also a diagnostic test for use in the field. The novel drug discovery and development research is being led by Dr Kevin Read, who is head of drug metabolism and pharmacokinetics at the Drug Discovery Unit. This research also builds on promising leads developed during work undertaken on the closely related disease HAT. To be effective for treatment of HAT, drugs need to be able to pass through the blood-brain barrier, but this is not necessary for AAT and as a result a number of drug candidates that were rejected from Dundee’s HAT programme are therefore now being re-evaluated as potential drugs for cattle. Work in Dundee began in January 2012 and is scheduled to be completed by August 2013. By then it is hoped that a candidate drug will have been identified which has activity against the three parasites that cause AAT (Trypanosoma congolense, T.vivax and T.brucei brucei) and also has good potential for development as a veterinary product for treatment of cattle. The other new agreement with The University of Dundeecovers work led by Professor Mike Ferguson, who heads a team working on trypanosome biochemistry, including the development of appropriate low-cost, high-quality diagnostics. His group aims to develop a test that can be used by livestock owners and veterinarians in remote areas to detect disease causing tryps in cattle and be able to clearly distinguish active infections from past infections. The plan is to develop a prototype lateral flow test together with BBInternational, a specialist diagnostic company which has development and manufacturing facilities in Dundee. “These partnership agreements with Anacor and The University of Dundee form critical components of GALVmed’s drug discovery programme. In both cases we are building on successful research programmes focused on the human form of trypanosomosis – sleeping sickness. If the successes achieved for HAT can be emulated for animal African trypanosomosis, the prospects of developing the first new drugs for AAT in half a century look bright. “I am delighted that The University of Dundee has established these excellent partnerships with GALVmed, for both drug discovery, lead by my colleague Kevin Read, and for diagnostic development. Dundee University has a reputation for quality science and for translating our science into tangible benefits for society – this is what we mean by ‘impact’. Both projects will access very advanced technologies and bring them to bear on these neglected animal diseases that cause so much hardship in sub-Saharan Africa. We are proud to work with GALVmed towards these goals.